Measure T: To maintain essential City services/infrastructure like police, fire, parks, libraries, streets and street lighting, shall the measure be adopted amending the City of Burbank Charter to continue the past practice of transferring not more than 7% of Burbank Water and Power’s gross annual sales of electricity, paid by retail electric rate payers, providing approximately $12.5 million annually to the City’s General Fund until ended by voters, with all money spent to benefit Burbank residents? A yes vote is a vote in favor of continuing the practice of including a fee in retail electric rates to fund the transfer of up to 7% of Burbank Water and Power’s (BWP) gross annual sales of electricity to the city’s general fund. 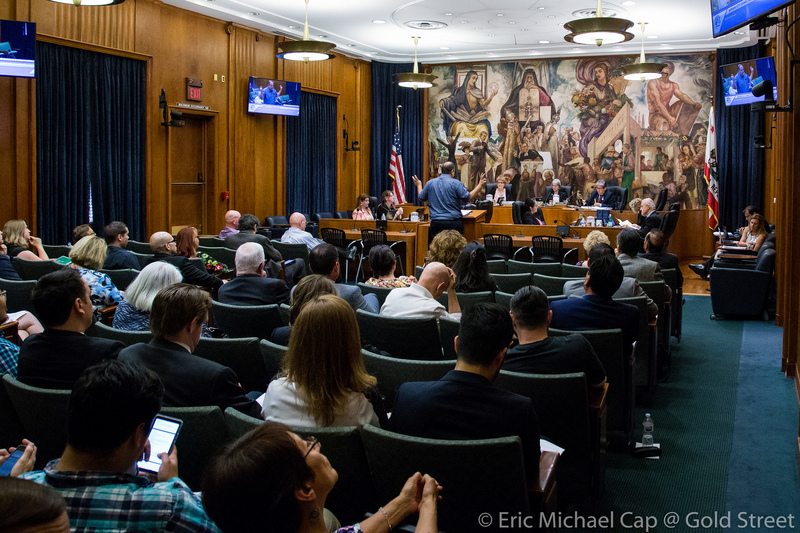 A no vote is a vote against continuing the practice of including a fee in retail electric rates to fund the transfer of up to 7% of Burbank Water and Power’s (BWP) gross annual sales of electricity to the city’s general fund. Measure V: To increase voter participation in City of Burbank elections, shall the measure be adopted amending City of Burbank Charter: 1.) changing City’s odd-numbered year general elections to November of even-numbered years coinciding with State/Federal elections and conforming to state law; 2.) eliminating City’s primary election; 3.) extending elected City official terms, one time, by one year and eight months to transition to even-numbered year elections; 4.) simplifying the election process in the Charter? A yes vote is a vote in favor of amending the city charter to move city elections from February and April of odd-numbered years to November of even-numbered years to coincide with state and federal elections, beginning in 2020; eliminating primary and general runoff elections; and adding a one-time extension of one year and eight months to the offices of city officeholders elected in May 2015 and May 2017. A no vote is a vote against amending the city charter to move city elections to November of even-numbered years, thereby continuing to hold city primary elections in February and city general elections in April of odd-numbered years. Measure Y: To comply with state law to increase voter participation, Burbank Unified School District is changing its Board elections from odd-numbered years to even-numbered years and will conduct their own elections in conjunction with Los Angeles County’s Election Division. Shall the measure be adopted amending the City of Burbank Charter to clarify that BUSD Board elections will be conducted according to state law election procedures, rather than the City’s election procedures? A yes vote is a vote in favor of amending the city charter to eliminate primary elections and to hold general elections for Burbank Unified School District in November of even-numbered years to coincide with the statewide general election starting in November 2020. A no vote is a vote against eliminating the primary election and holding the general elections for Burbank Unified School District in November of even-numbered years to coincide with the statewide general election starting in November 2020. Below are some links in support & oppostion so you can make your own informed decision. In Support: Burbank Elections. Mayor Emily | In Opposition: Save Burbank Neighborhoods – NO on T. NO on V & Y. NO on T, V & Y (5/31). Burbank Viewpoints – NO on V, Video*, Audio*. NO on Y. 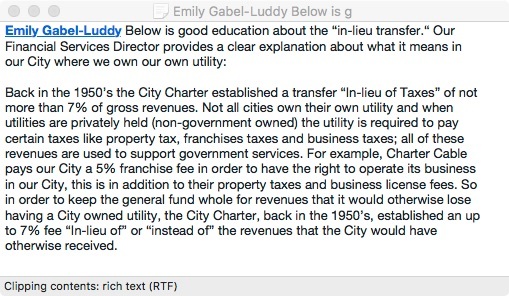 OPINION: A few quick thoughts – Any decision on Measure T should be made in context of understanding the historical roots of the “in-lieu transfer” of up to 7% of BWP’s gross sales of electricity from retail electric rate payers to the City of Burbank’s General Fund, which dates back to Voter approved measures in 1951/8 & 2007; the Court Ruling that determined the Fee is a “Tax” requiring Voter approval as such, hence the change in the Charter language being placed before Voters; our recently approved Budget that is balanced on the back of this continued transfer (and $9 Million in other “sustainable” reoccurring cuts & savings); and the $12.5M short-fall a NO Vote would create and resulting cuts in City services (police & fire, street repairs/lighting, park/recreation programs/facilities etc.) Also important to note that passage of this Measure will not increase retail rate payers’ bills because current rates already include the cost of the transfers. You may also want to consider the forthcoming November Ballot Measure that is asking for a significant 0.75 cent Sales Tax increase to go towards paying our Unfunded Pension Liability and Deferred Infrastructure Needs. This measure would raise $20M/year of which $9M would go towards those needs and a $11M “surplus” available to restore or add services/programs (FYI: I can support 0.25 cents + $2.3M more in cuts/cost-savings to close the long-term deficit but NOT 0.75). BUSD is also planning a large Parcel Tax measure ($150-$250 per year per ave. property) to go to their General Fund. For comparison sake, Measure S which was approved just a few years ago was about $50 per ave. property for capital projects. Bottom line: Notwithstanding the ever-increasing costs of Housing, Gas & State Taxes, Burbanker’s can expect to pay a lot more for the privilege of living in the Media Capital of the World!